This Saturday, May 13 2017, the Society for cave exploration Ljubljana representatives performed the last cave cleanup action within LIFE Kočevsko project. They successfully pulled out 1 m3 of illegal waste from the Oneška Cave (Kočevsko, 2 km North from the village Onek). Action was attended by 25 members of the society. 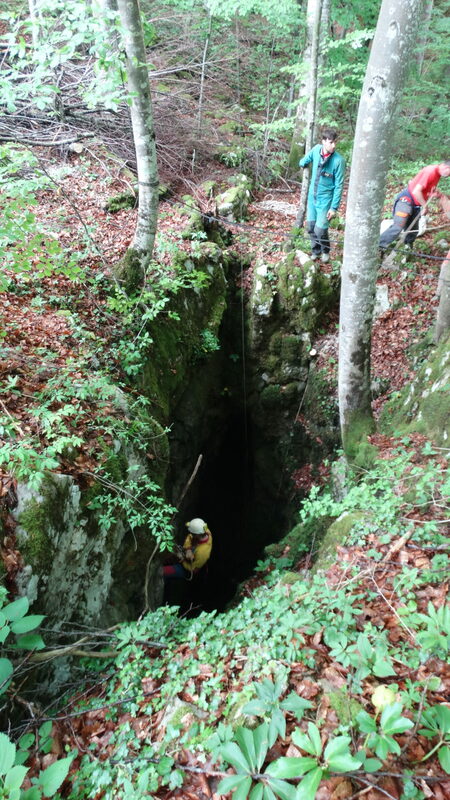 The cave is relatively deep with first step at around 20m and additional 30m at it’s second step. Accessing the waste at this depth and providing its removal from the pit can be very complex and challenging, especially using their bare hands. 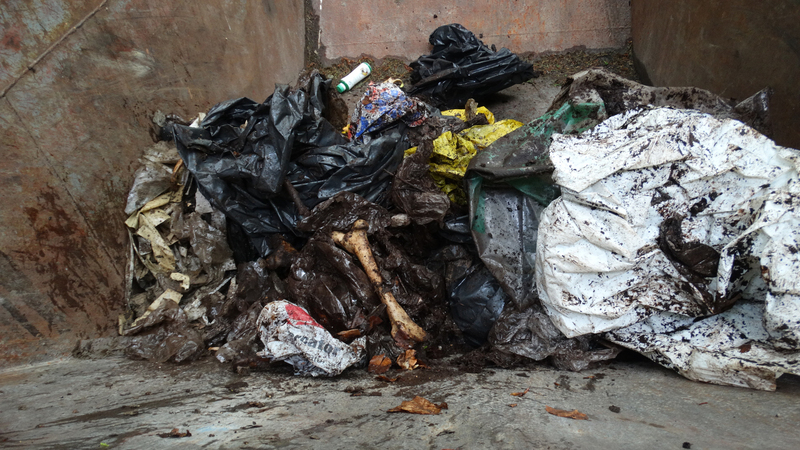 As it turned out, the previous waste quantitiy assessment was (fortunately) a bit excessive. 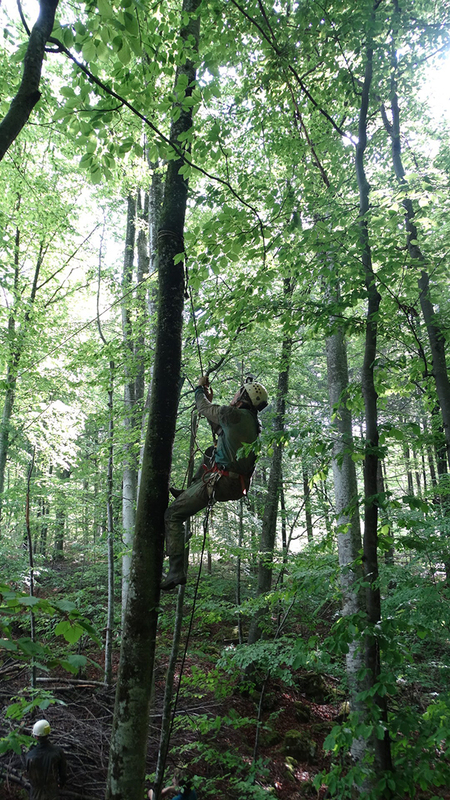 The project team is happy to see another cave in Kočevsko region being returned to its original state.